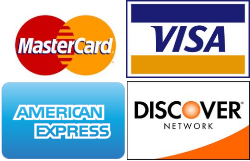 We accept personal checks, cash, and all major credit and debit cards for payment at the time of service. You may also pay securely online through PayPal. We accept most major insurance carriers.